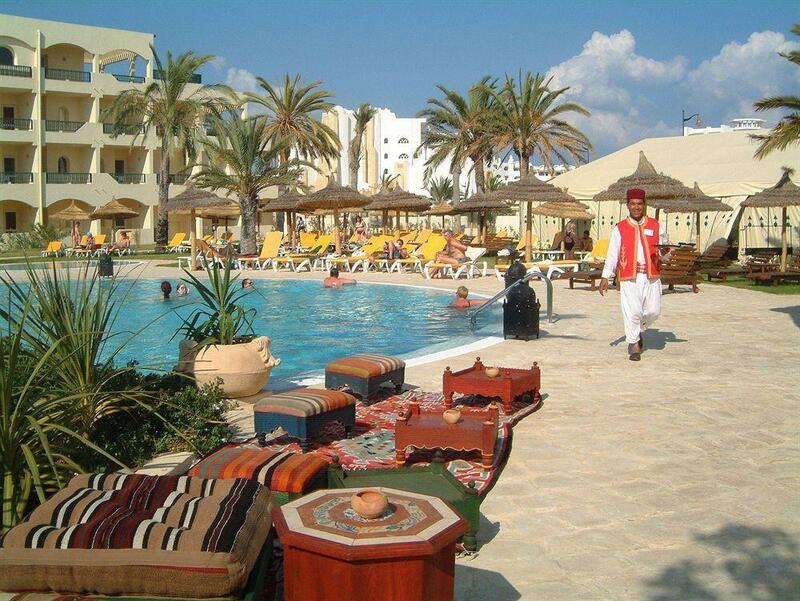 A well positioned, comfortable hotel with a Spa centre, large outdoor swimming pool and large sun terrace. On-site facilities include a reception service, Internet Services (charges apply) a main restaurant serving local and international cuisines, Spa Centre with hydro- massage, Turkish Bath and a selection of treatments (charges apply for the Spa) and a large outdoor swimming pool with sun terrace offering loungers and parasols. Traditionally furnished the rooms feature en-suite bathroom, safe for hire, mini bar (charges may apply), TV and telephone. Air conditioning is available mid-June and mid-September, charges may apply. Please note - There is a tourist tax of approx 2TND per day for each guest over the age of 12 to be paid locally. Please note this rate is approximate and is subject to changes.